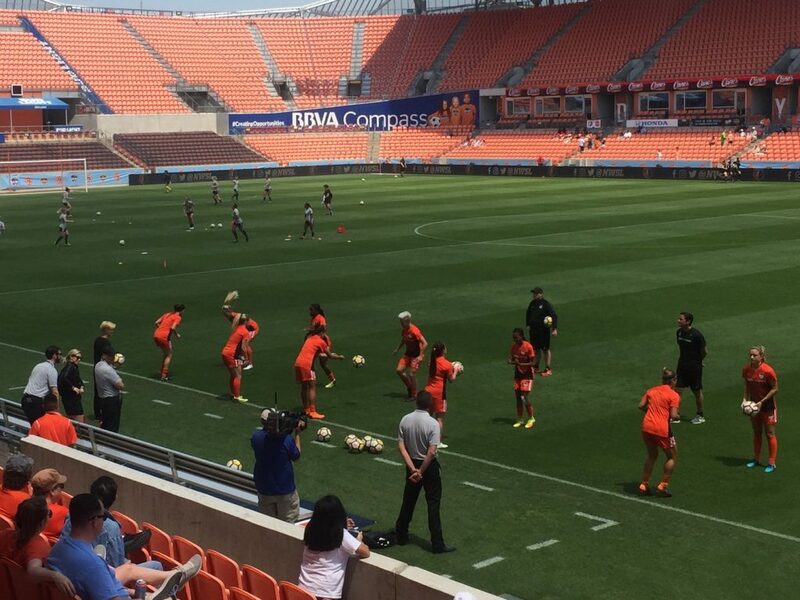 On Saturday Chris G. road-tripped to Houston to watch the North Carolina Courage take on the Houston Dash in a regular-season NWSL match. 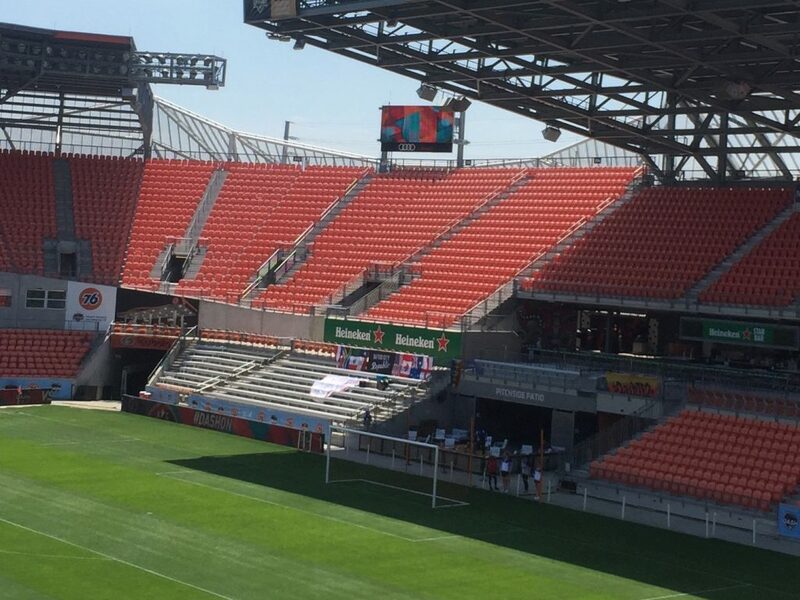 I try to get over to Houston at least once a year to catch an NWSL game, though I missed last season, with Hurricane Harvey screwing up the last few games of their schedule (among many more serious effects, of course). 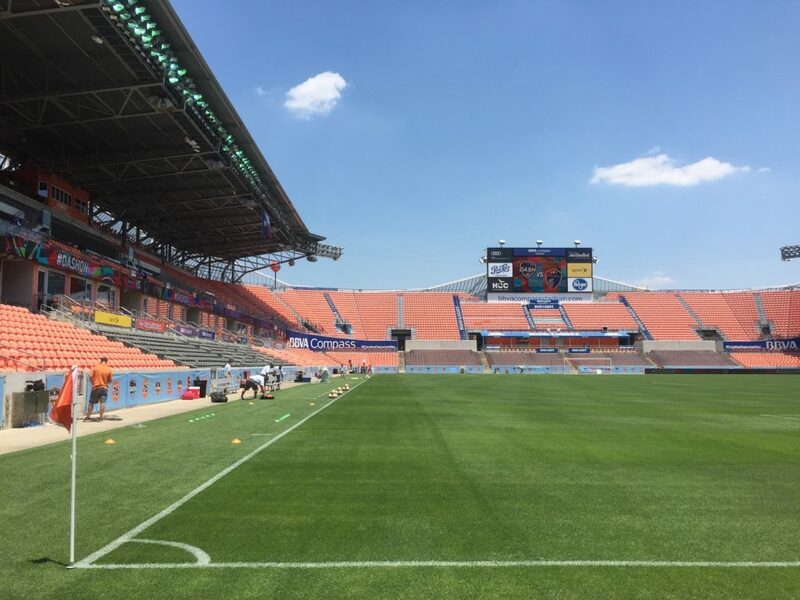 The Dash front office contacted me earlier in the week and offered a stadium tour prior to kickoff, which I took them up on. The season-ticket sales pitch I knew would come along with it was brief and low-pressure, so it was a good deal. 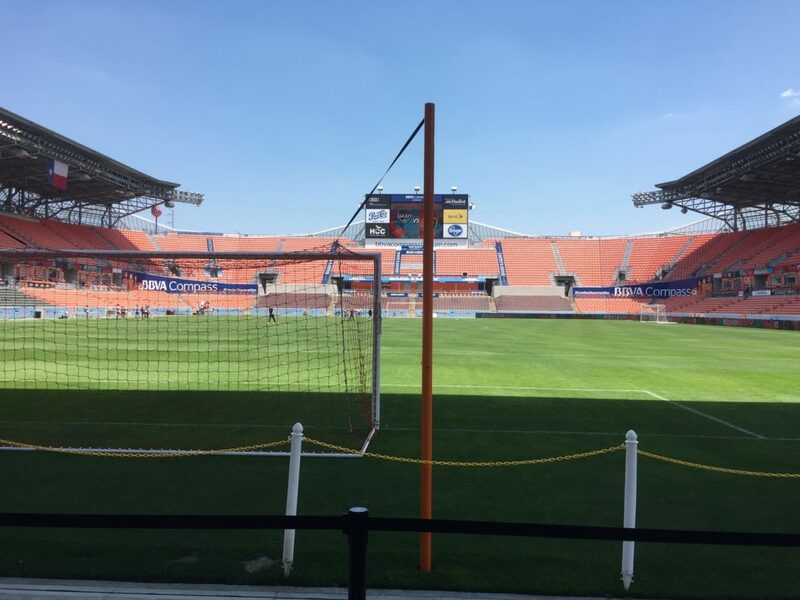 Among some other pretty standard seat-replacement “upgrades”, they’ve also replaced a section of field-level seating on the south end of the stadium with a pretty cool open, astro-turfed, bar-backed “Pitchside Patio” area that’s available for rental (like a suite, but behind the goal instead of behind glass). The drive over and back was nice, and the temperature in the shade was about as perfect as you could ask for. 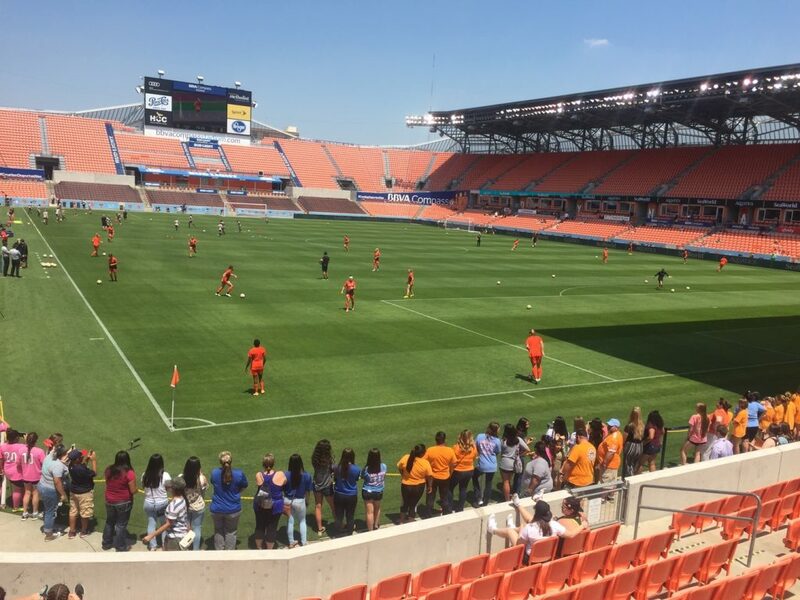 It was a cool to see some of the stars of the women’s game, like Crystal Dunn and Kealia Ohai (if not Christen Press). 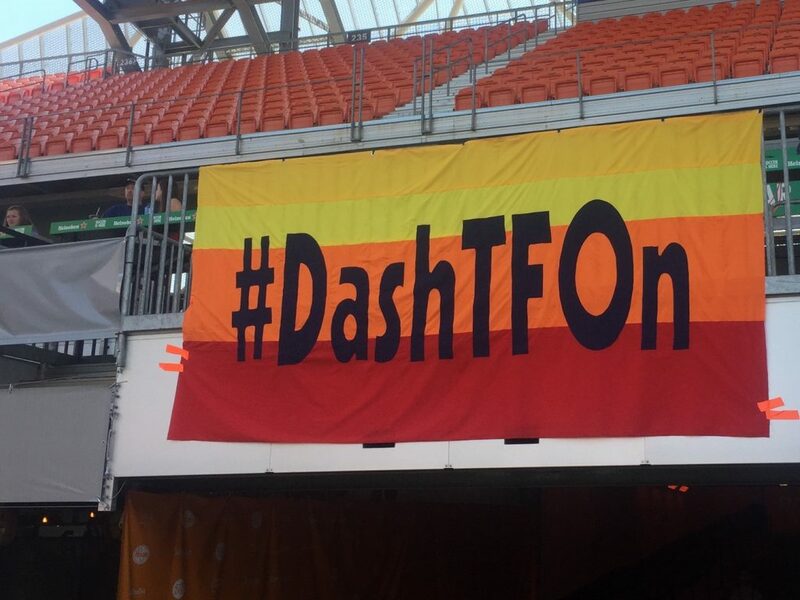 It would have been nice to see the home team get their first win of the season, but that turned out to be too much to hope for against the league leaders, who have yet to lose this year; the Dash lost 2-0. Below, a few images from the day.